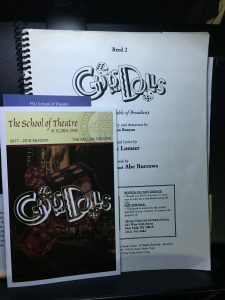 Tonight is opening night for Guys & Dolls at FSU School of Theatre! It’s great to play in the Fallon Theatre Pit again; glad to be back! The cast sounds fantastic so if you’re looking for something fun to do the next two weekends and you are able, I highly recommend you check it out!